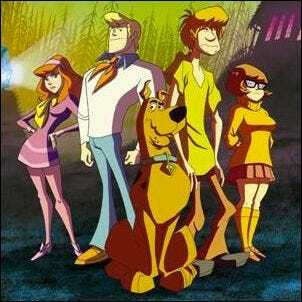 The Longest Running Incarnation Of Scooby-Doo Is? What Kind Of Creature Was Named After Sci-Fi Writer Michael Crichton? The Scooby-Doo franchise is prolific, to say the least. What started as a Saturday morning cartoon show in 1969 has spawned eleven spin-off cartoon series (including one due out in 2015), two live action films, and many animated films. While the best known incarnation of the show is definitely the original series “Scooby-Doo, Where Are You?” as it has been broadcast in syndication continuously in the United States since the last first-run episode back in the 1970s, the original series isn’t the longest running incarnation by episode count. That distinction actually belongs to one of the more recent incarnations of the show: “Scooby-Doo! Mystery Incorporated.” Mystery Incorporated deviated from the classic Scooby-Doo setup in a variety of ways: it was the first series in the franchise that wasn’t a Saturday morning cartoon, it was the first to use a serial format that arced stories across multiple episodes and seasons, character development and drama persisted throughout the story arcs, and the story elements were significantly darker and more grim than in earlier Scooby-Doo series. The restyling of the series proved popular and the series ran for two extended seasons with a total of 52 episodes (18 more than the original Scooby-Doo series). Image courtesy of Warner Brothers Animation.